I’m a Celebrity meets the Wimpy Kid. A bust-a-gut funny tale of activity holiday hell. Complete with awful dormies. Tim is a nice, normal boy-next-door kind of guy. Trouble is, he’s hopeless at sports of every kind. So how will he survive the horrors of an adventure holiday packed with dangerous sports? There’s abseiling, canoeing and the Crazy Bucket Race. And the biggest challenge of all: having to bunk with bullying Giles… Genius from star author Jacqueline Wilson and top illustrator Nick Sharratt. Had me in tears of laughter and excellent vocabulary. this is a really cool book to read in the holidays or in the weekend. i recommend it to those of 6-9 years. I recommend this book for readers seven year’s old and older, and it is a really funny book that will make you laugh. absoulutely genius, incredibly intresting and it makes me want to go to summer camp! I really enjoyed reading this book because the book really suited its title because every chapter was left on a cliffhanger. ok book. read buried alive first, as the story carries on. This is a very funny book about Tim, a mummy’s boy who is forced by his dad to go to a summer camp and participate in activities like abseiling canoeing etc. He immediately makes friends with biscuits, a fat boy who loves sweets. He hates it at first but at the finish it all ends well. This book is a refreshing change from the usual books as it is told from a boys point of view. This book is really funny and is a good mini read for a bit of spare time. It was great to revisit Biscuits from best friends and, once again, he made me laugh out loud! Thanks Jacqueline, for another great book! its ok but not her best book the illustrater is quiet good i do like the cover though !!! I thought this book was very cool and that it showed another side to Tim then the other book about him, but I also thought that it was quite funny! I like adventure stories. It was so funny and I didn’t want it to end! This book is okay, but not up to Wilson’s usual standard. Tim is a nice, easy-to-understand, relatable character, but the book is more suited to children under the recommended age – I would say it is suitable for children aged 3 – 7. 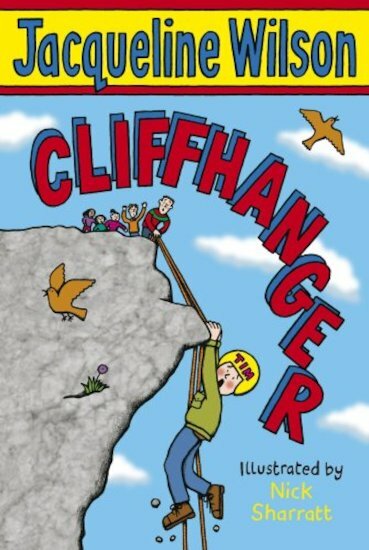 Cliffhanger is a great book? Well, I think that it is, it is about a boy who is hanged on a cliff and shouts for help! Will he have HELP OR NOT!! !.......Read the book to know more if he is going to SURVIVE!!! I really enjoyed reading this book although it was a bit short, there was alot of description very good. this book is about poor Tim being made to go to a adventure holiday! he meets a boy called Biscuits who eats alot and more! This book is hilairious! Suitable for all ages! Certainly a cliffhanger! i realy did not engoy this book at all sorry, but i did like all the postcards in it! im just going rate it for not for me so 2 out of ten i added one extra cause i loved the postcards they were not boring!! im a HUGE fan of jackie though! i <3 her other books apart from this one duh! I read this years ago, and recently we went on a residential with school where we were going to do abseiling! This book made me quite scared about it! But then I did it for real, and it wasn’t that bad – I should have realised it was only a story but I was only young! I remember being a big fan of this book when I was younger. Jacqueline Wilson’s books are always good! This seems like a brilliant book so I want to read it! It seems really adventurous and cool. I love those sort of books so I am sure that I will love this book! I am Reading this book at school. I haven’t finished it yet, BUT it sounds good so far! I would Recommend you to buy it but it was kind of a Year 4-5 Book! 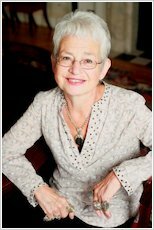 I am a Jacqueline Wilson Fan! It was alright, not my favourite though. I much prefer other Jacqueline Wilson books. This was just a bit boring to me, but I still advise you to try it as it might be of your interest. And don’t judge a book by it’s cover! This book was very good, I could not put the book down. This is an interesting book about a boy at the seaside. He takes his best friend, Biscuits, but they have lots of adventure when they get there, to do with two horrible bullies. Will they triumph…? this book is an adventrous book. its about tim having to go to a sports camp on demand from his farther but will he survive there? This wasn’t as good as Jacky’s other books but I think that’s because it was a male main character instead of female. This book was funny at some parts and scary in other parts. i would recommend this book for 7-12 year olds. really good story! go tim! I hate this book. It’s so boring. I can’t believe Jacqueline Wilson wrote it! I thought he wasn’t going make it and he’d fall off the cliff but luckily he didn’t. I love this book and biscuits is my favourite character. I feel sorry for Tim for being forced on the holiday. I liked this book because it was funny. PLus it wasnt that long.It has it moment of laughs and it’s moment of dullnes but all in all I liked it. You should read this book it is really good I think you will love it. It is about a boy called Tim who goes on an adventure holiday and is a second part for it too called Burried alive.